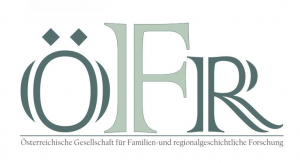 ÖFR WIKI is an information portal operated by the Austrian Society for Research on Genealogy and Regional Heritage (ÖFR). Its purpose is to offer a collection of knowledge relevant for research on genealogy and regional heritage in the countries of the former Habsburg Monarchy. The objective of this WIKI is to provide “free knowledge” that is open to everyone, regardless of memberships or affiliations. ÖFR WIKI is not profit-oriented and is ad-free. The texts are subject to the free CC BY-SA license (Creative Commons attribution – “Share Alike”). A WIKI never stops growing! Click to go to ÖFR WIKI.